Krishnamurti's essential message is that to find truth, we must go beyond the limits of ordinary thought. In public talks worldwide, he strove to free listeners from conventional beliefs and psychological mind-sets in order to understand what is. 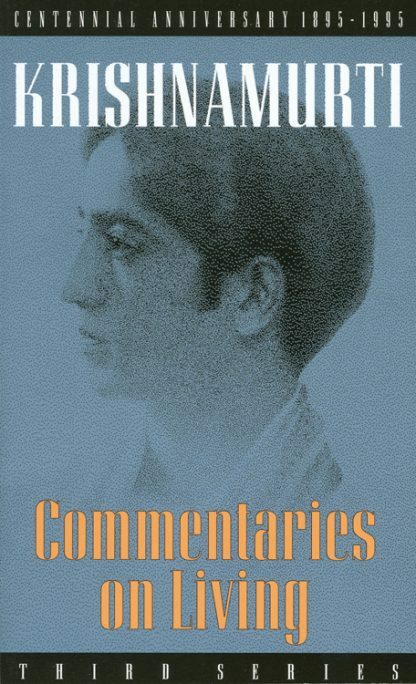 The essential message of J. Krishnamurti, revered philosopher and spiritual teacher to millions, challenges the limits of ordinary thought. In talks and teachings to audiences worldwide, he extricated his listeners from the tangled net of ideas, organizational beliefs and psychological mind-sets and pointed them to the bliss of truth. In the final volume of this series, conversations with individual seekers explore many topics, including the cultivation of sensitivity, the problem of search, the importance of change, and "What is life all about?"